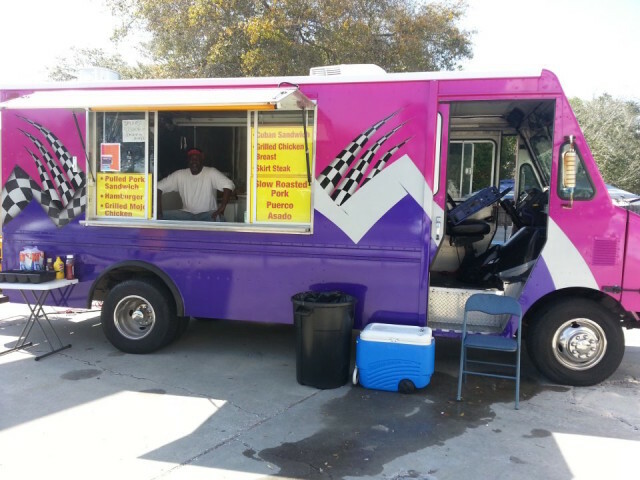 May 5 is the latest date proposed for a new Sarasota County food truck ordinance to make its public debut, the county’s planning manager told the Planning Commission during its Feb. 18 meeting. “We’re seeking a continuance until May 5 on this particular item,” Tate Taylor told the board members, who were scheduled to hold a public hearing that evening on the latest version of the regulations. “We need to do a bit more research and outreach,” Taylor added, noting that staff had hoped to conclude all those efforts before the meeting. The Planning Commission voted unanimously to approve the request for the continuance. Replying to a question from Chair John Ask, Taylor said the May 5 session would be held in Sarasota. On Oct. 27, 2015, county Zoning Administrator Donna Thompson won unanimous approval from the County Commission to schedule a public hearing on a revised ordinance that would provide more flexibility for food truck operations. 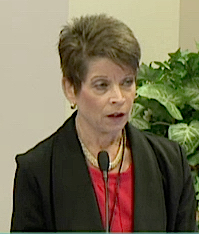 During that session, she cautioned the board that she was uncertain how long it would take to reach that point, because she still was working with interested parties to finalize the ordinance’s language. Among the stakeholders are the SRQ Food Truck Alliance, restaurant owners and representatives of the hospitality industry and chambers of commerce, she said. The latter three groups had seen the draft she brought before the board that day, she added. 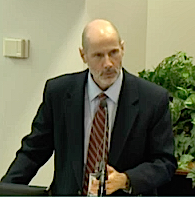 Work on the revised ordinance began in 2011, Thompson noted in a Feb. 18 memo to the Planning Commission. That was when the SRQ Food Truck Alliance, represented by the Institute for Justice, first requested a revision to the county’s regulations, she pointed out. On Dec. 9, 2015, while Thompson was before the county commissioners on a related matter, she said she hoped to have a draft of the revised ordinance ready for their review in February. However, after questions arose that day about providing sufficient notice to the public regarding proposals for food truck locations, Thompson indicated the February timeframe might be too optimistic. “I’m sensing some concern,” Thompson said, referring to a section of the proposed regulations that would grant the zoning administrator authority to approve a food truck vendor’s application if it met all the necessary criteria. A Sarasota News Leader review of the draft ordinance included in the Feb. 18 Planning Commission packet found no changes from the version provided to the County Commission in advance of the Oct. 27, 2015 meeting. Further, the News Leader saw just minor modifications when it compared the memos Thompson provided the County Commission and the Planning Commission in advance of their respective meetings on Oct. 27, 2015 and Feb. 18. As in October, the Feb. 18 memo discusses the plan to allow Temporary Use Permits (TUP) for food truck vendors on private property to be approved on the basis of documentation regarding an entire parcel, not just the individual locations where the food trucks would sit. As a result of Institute for Justice recommendations, the memo continues, multiple vendors would be able to operate on a single piece of property. “This approach will allow the [landowners] with approved Temporary Use Permits to rotate a variety of vendors, so long as [the vendors] comply with the terms of the approval, including a site plan” and Zoning Code standards, the Feb. 18 memo says. On Oct. 27, 2015, Thompson explained to the county commissioners that the application from a private property owner would outline the number of vendors that would operate on one site, the days of the week they would be present and their hours of operation. The requirements for street vendors on public property and the barrier islands would not change, the Feb. 18 memo pointed out: The County Commission would continue to hold individual public hearings on requests for such operations. The new ordinance also proposes to allow street vendors in five more commercial districts, though county commissioners in October debated whether one of those — Commercial Neighborhood (CN) — would entail sufficient buffering between adjacent landowners and the food truck operations. Commissioner Paul Caragiulo also asked Thompson to research whether Office Professional and Institutional (OPI) districts should be allowed to have food truck sites. In the Feb. 18 memo to the Planning Commission, OPI districts are not on the list.